Visit renowned cultural sites on the island and experience a rich heritage. Discover the island of treasures with Aitken Spence Travels, the most renowned amongst Sri Lanka tour operators. Keeping your comfort in mind, we offer tailor-made tours that provide plenty of opportunities to experience and explore the country’s rich heritage, diverse culture, golden sandy beaches, nature and wildlife. Your first steps begin with the traditional greeting of “Ayubowan”! Explore ancient sites seemingly lost in time, uncover the stories behind local legends and be awed by monuments that are intertwined with the island’s culture. A perfect blend of beauty, history and culture, the hill country emulates the very essence of authentic Sri Lanka, tucked away amidst emerald covered mountains. From weddings packages tailor-made just for you and intimate honeymoon experiences, we offer you the chance to celebrate your love in style! Indulge in an integrated wellness and Ayurveda retreat where your health and complete well-being is at the centre of a relaxing holiday experience. Immerse yourself in truly enriching adventures that let you experience the island’s scenic landscapes, traditional culture and exotic wildlife. Surrounded by the Indian Ocean, Sri Lanka has some of the best beaches to discover with pristine shores of paradise amidst seaside serenades. 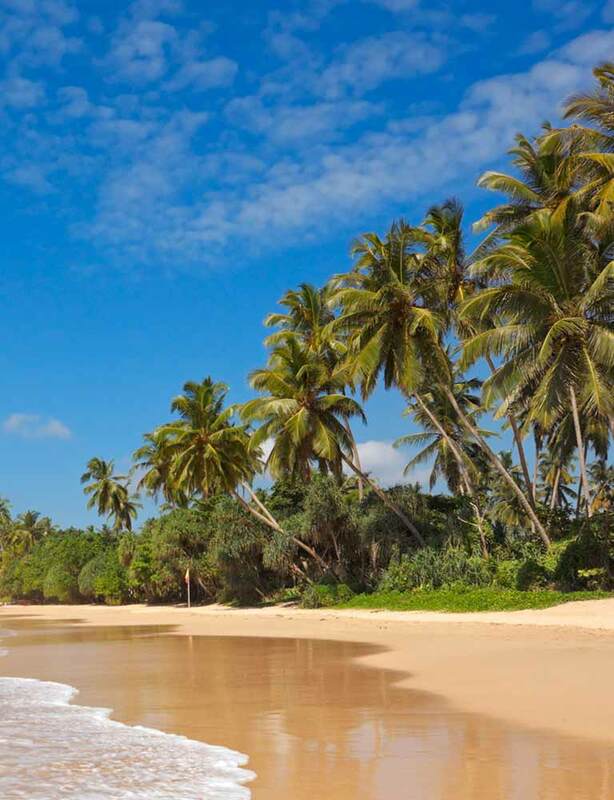 The perfect holiday destination, Sri Lanka has a rich appeal for travellers across the planet offering everything from beachside bliss to an engaging culture. Embark on a memorable expedition as part of a group tour where you will not only visit sites rich in culture and natural wonder but build new friendships as well. Embark on discovering a treasured journey of nature!